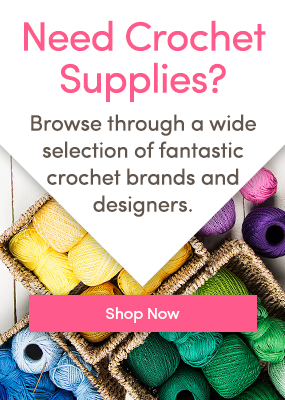 Crochet a chemo hat and help somebody in need! In honor of World Cancer Day we’re running a special HotTag competition from February 3th-28th celebrating crocheted chemo hats and the stories behind them! Enter for the chance to WIN £100/$100 worth of yarn! For those experiencing chemotherapy, hair loss can be a challenging experience. Chemo hats are a wonderful way to crochet for others, whether it’s for a friend or family member, or a project that will be donated to your local cancer charity or hospital. Our latest HotTag competition is an opportunity to pay it forward while spreading awareness. We want to hear the story behind your project, who it’s for and your inspiration! Link to the chemo hat pattern on LoveCrochet. A full description about where the hat is going or who it’s for. And don’t forget to use the HotTag #CrochetForCancer so we can find your submission! The competition will begin 6:00am Feb 3th EST, and will end 11:59pm Feb 28th EST. Full terms and conditions here. If you’re looking for some inspiration for your chemo hat project, why not explore our library of crochet patterns for cancer patients! We can’t wait to see your entries!